Last week I was kindly invited along to try a new meal and beauty deal set up by St George's Bar and Grill (attached to the market I have my stall at!) and The Beauty Company, a salon that is right around the corner from St George's. The two have partnered up for a deal that is too good to miss. Lunch and a drink, plus a beauty treatment for only £25.00. There's a delicious menu on offer with loads of choices and options for veggies. 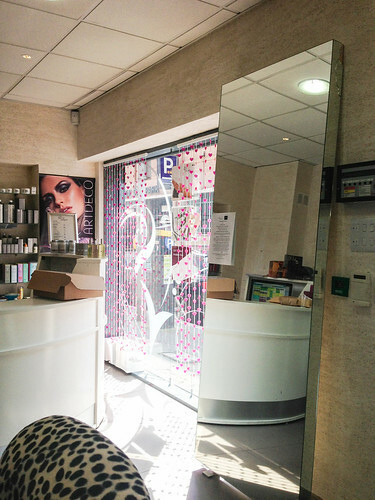 The beauty treatments include a Shellac manicure, a Vita Liberata tan or a Deluxe Manicure. I took Dawn of Inanity and the Girl along with me. First we went for our delicious lunch. I don't know why I had never tried this place before! It's really only a 5 minute walk from the complete centre of the high street and the menu is reasonably priced and the food is irresistable. 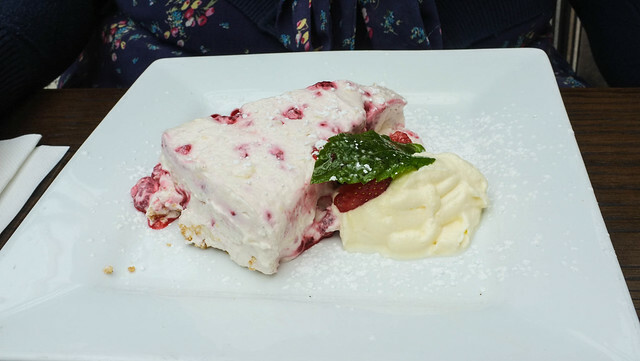 The service was also great, I know this can differ when you are being treated to something to review but I was paying attention to the service of other tables and the staff were all really friendly and efficient to all of their customers. The food and drinks arrived quickly as well. 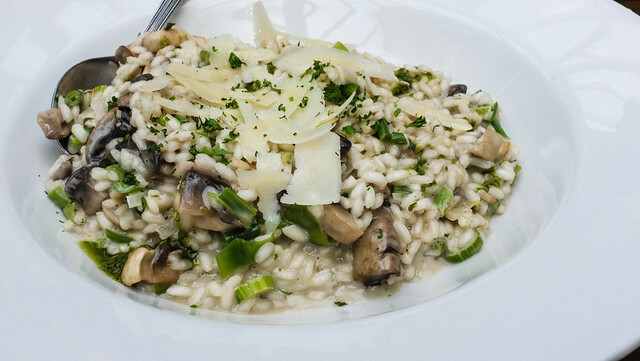 I had mushroom risotto with shaved parmesan which was so creamy and filling. The portions are generous, you definitely do not feel ripped off! 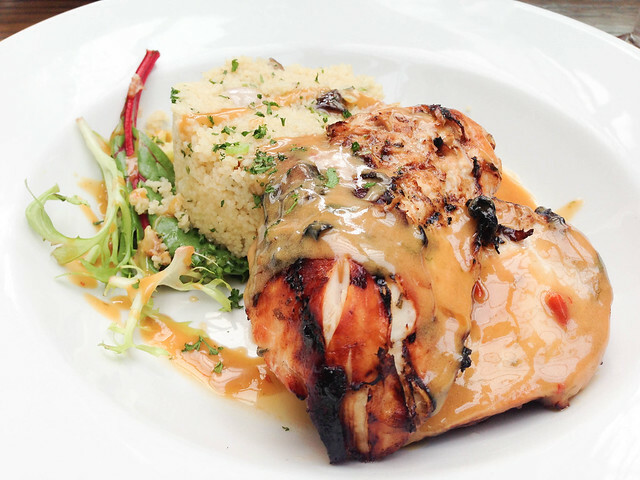 Dawn had chicken with cous cous and it looked amazing! We also couldn't resist dessert, it's not included in the brunch deal but you can add it on and it's reasonably priced also. 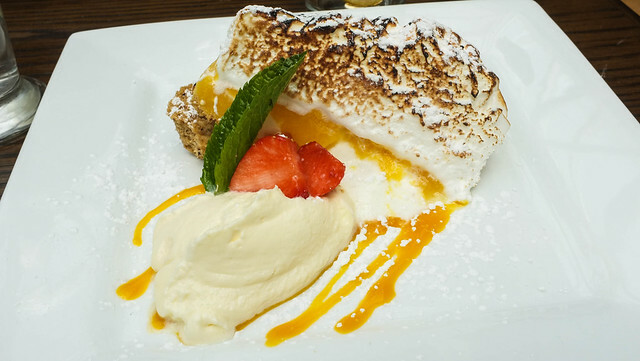 I had Baked Alaska Lemon Meringue, it was as amazing as it sounds! The meringue on top was so perfect and I'd never tasted anything like it before, it was like eating a sugar cloud. Meringe is a favourite of mine, specifically pavlova but I hate when it tastes overly eggy. This was perfect! Dawn had cheesecake and I had to snap a photo of it for you, yum! After lunch we moved on to our Shellac treatments at The Beauty Company. Anyone who has been following my blog for a while knows I used to be really into nails and nail art, well sadly with my baking all the time it's just not realistic to have nail polish on a lot. 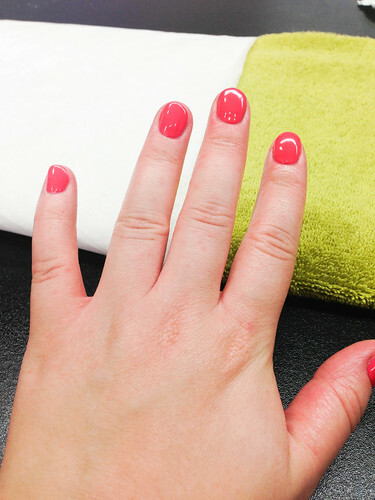 However Shellac is a hard wearing manicure, which can last up to 3 weeks. Now, mine has been on since Thursday and it is now Tuesday and although that might not seem much you have to bear in mind that my hands are constantly in water and moulding fondant and carrying heavy boxes. A standard polish on me doesn't last more than an hour so I never bother. Even though I wear gloves as I bake a normal polish just chips off instantly. There is one tiny chip on the edge of one of my nails but it's very hard to notice. So I'm pretty happy! The girls were friendly and let us choose from a whole range of colours. We had a great wee afternoon. If you're in Belfast I'd really recommend this, a Shellac treatment in Belfast usually ranges from £20-£30 alone (normally £30 at TBC) so for lunch and a treatment for £25 is great value. So go for it! It makes a lovely afternoon out with some pals! Here this looks nifty! Def worth checking out, impressed that Vita Liberata tan is included. Your wee nails are so cute with the red shellac! This looks like an amazing deal and that cheesecake - OH GOD.